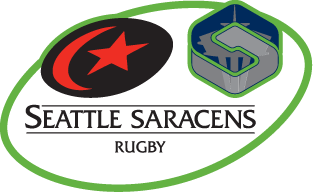 The Seattle Saracens took another hit to their playoff chances after losing to Castaway Wanderers 34-46 on Saturday. The Saracens have lost a lot of players to the Seawolves this year and it has taken a toll as they usually would get a better result against a team traveling from Vancouver Island. The loss puts Seattle in a bit of a hole as they are in 8th place with only the top six making the playoffs. They are a point behind James Bay for 7th and trail UVic by five points. That's advantageous because Seattle plays UVic next weekend. It wasn't all bad for Seattle as their reserve side beat Castaway Wanderers 34-31. Unfortunately the women's team was not able to play their match against Westshore. It's been a season of change for the women's team. They've lost some veterans and have added some new faces. Couple that with playing in the toughest women's competition in North America and it has taken a toll.